This heavy gauge, fully-assembled locker, with three locking options (padlock, key lock, digital lock) provides strong and secure storage of cell phones, tablets, wallets, keys and other small personal items. 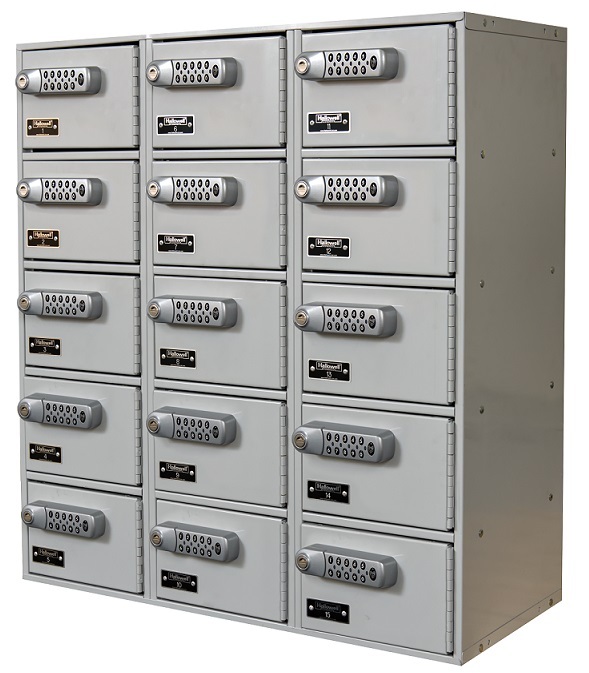 Available in one wide and three wide configurations, this heavy duty locker can be stacked or wall mounted to meet your specific needs. The DigiTech lock version arrives in day use mode (multi-user) but can also be programmed for permanent use (assigned user). Low profile frame members maximize clear opening. Light Gray powder coat finish. Ideal for offices, hospitals, schools, government buildings, etc. 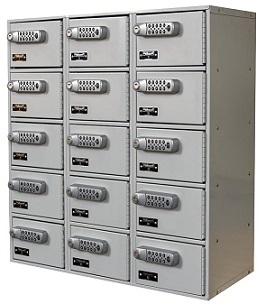 where temporary or permanent storage of small items like cell phones, tablets, wallets and keys is required.